Day 15: My First Review! The beginning of this story is very intense; it makes the reader’s heart pound in rhythm of the character’s, since the reader is at once grasped by the story, by the mystery and danger of the situation. The writer did not waste time on setting the scene slowly for the story, but started right away, from the first sentence. This gives the necessary dynamics. The reader gets a good impression of what the characters feel, through dialogues and also since a lot of their thoughts are written down or told by the narrator. The descriptions are vivid and the language corresponds great to the war situation, to the time and the place. Everything is so realistically told and the story would make for a great film script. Further on, there is a strong resemblance to “Game of Thrones.” If that was the author’s intention, then he/she did a great job. However, if that wasn’t the intention, then the lack of originality is a bit disturbing and something the author should consider. 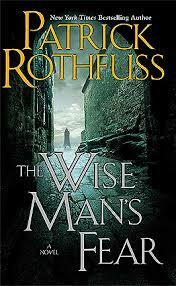 Overall, the plot is good, characterization is great and the language and the style of writing are perfect. Now you can see why today has been such a great day! I am thrilled to have this as my first review of my story! My favorite part was how she said it would make for a great film script. That was my initial aim going into writing that book. I was influenced by seeing Aladdin on Broadway and I wanted to create something as powerful and moving as that story. And yes, my story does have a strong resemblance to “Game of Thrones.” A little bit of drama is good for the soul. On that note, I am still writing away on book 2, The Three Witches, and making my way towards Act 3. I have been adding a few extra necessary chapters at the end of Act 2 to set up for the rest of the book. It is getting really exciting! Oh and tonight I am starting to watch every single Disney movie from start to finish. 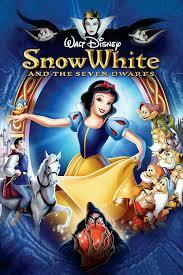 The first movie on the list is Snow White and the Seven Dwarfs, released in 1938. I honestly cannot tell you the last time I have seen this movie but I am excited to watch these classics in a new perspective from being older. I will write my review of each one the next day!